Click! Network Archives · Stop the Cap! CenturyLink is having a tough time competing against Tacoma, Wash.-based Click! Network, so the phone company hired third party vendors who are spreading lies about its community-owned competitor. Click!, a division of Tacoma Power, recently upgraded its network to begin selling 100Mbps broadband to Tacoma residents. That proved a problem to CenturyLink’s outsourced sales force who cannot begin to offer those kinds of speeds to Tacoma residents over CenturyLink’s copper-wire facilities. So when you can’t compete, the next best thing is to lie. The News Tribune reports CenturyLink’s door-to-door sales force is misinforming current Click! customers the service is shutting down and offering to transfer their service to CenturyLink. Although the salespeople are not CenturyLink employees, the phone company hired the firm that employs them. Tacoma residents enjoy the competition. 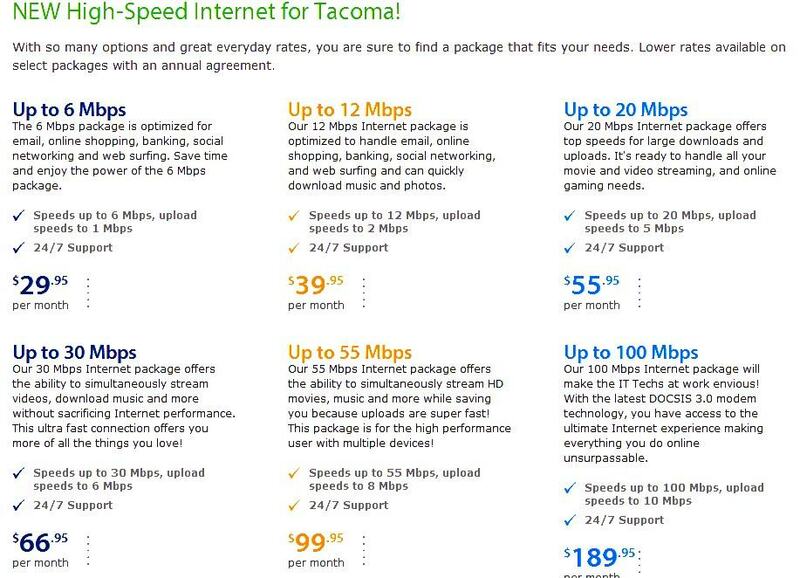 Prices are lower than in nearby Seattle, and residents can choose from CenturyLink, Comcast, or one of three independent ISPs that provide service over the Click! Network. I have Comcast in Tacoma and all I know is since there is competition down here Comcast is about half the cost as it is in Seattle. They give you a rate good for a year. When your year is up you call up and just say Click! and bam back down you go. A friend in Seattle once called Comcast with both of our bills with similar service and mentioned my price and they said I must live in Tacoma and they wouldn’t match the price. The city asks anyone who hears a CenturyLink sales representative misrepresent Click! call 253-502-8900 to report it.